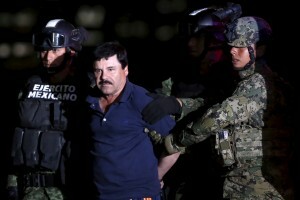 A Mexican drug lord back in custody after a brazen prison escape last year, was led by soldiers to prison on Friday, as United States officials continue to push for his extradition, a prospect the Mexican government is now said to be considering. 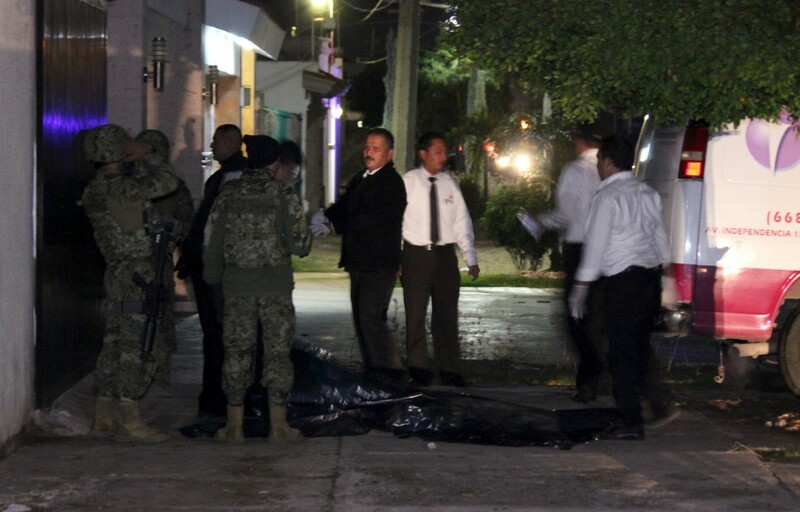 Joaquin “El Chapo” Guzman was captured in the western Mexican city of Los Mochis early Friday, six months after he was freed from a maximum-security prison through a tunnel that was drilled into his cell. He is now being detained at the Altiplano federal prison, where he was last held before his July escape. Guzman was reportedly tracked down by federal authorities after he made attempts to contact Hollywood producers, and others, about the potential for a biographical movie on his life, according to Mexican Attorney General Arely Gomez. “For that he established communication with actresses and producers, which became a new line of investigation,” she said, as Guzman was led in handcuffs before members of the media on Friday. Guzman, a billionaire, heads Mexico’s Sinaloa Cartel, an organization that has accumulated vast wealth through an international drug ring, while terrorizing much of the country. Guzman’s operation is also blamed for significant contributions to the United States’ illegal drug trade. U.S. officials have tried for years to extradite the kingpin to face a range of charges. On Saturday, a source told the Associated Press and Reuters that Mexico’s attorney general will move toward extradition, with an aim of transferring Guzman to U.S. custody by July. Guzman’s attorney, Juan Pablo Badillo, said Saturday that Guzman would not be extradited.